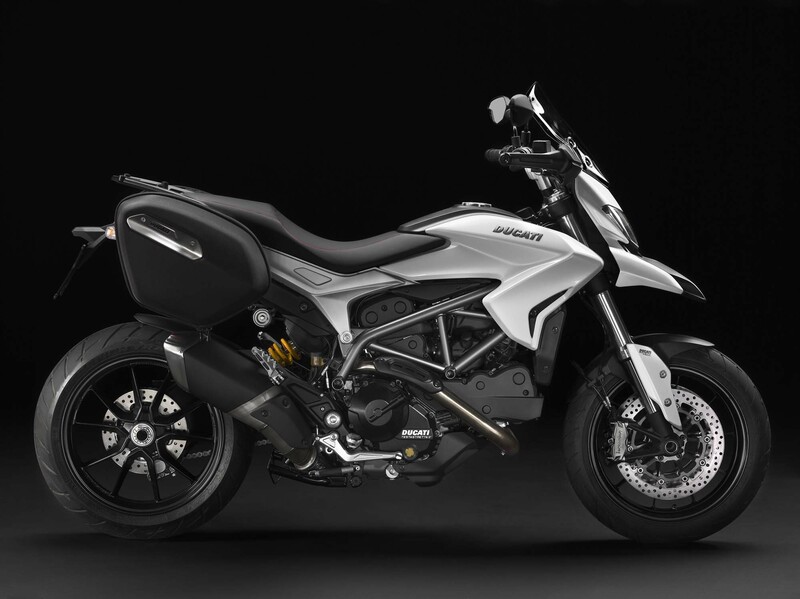 Putting things in motion is the same 110hp 821cc Testastretta 11° DS v-twin engine, and the Hyperstrada features the Ducati Safety Package as well (ABS & traction control). 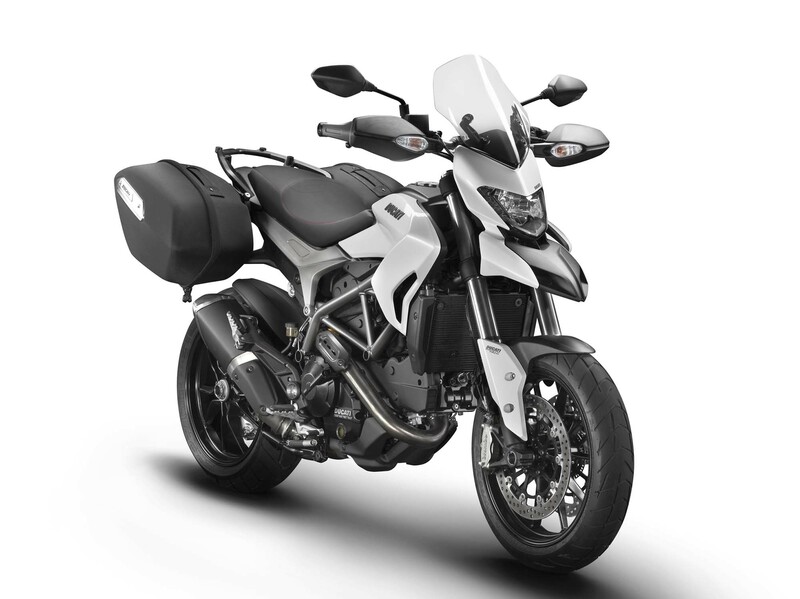 Making this Hyper a Strada though is 50 liters of quick-detaching side luggage, an optional 31 liter top case, center stand, taller handlebars (20mm), a touring screen, and a wider/thicker touring seat. 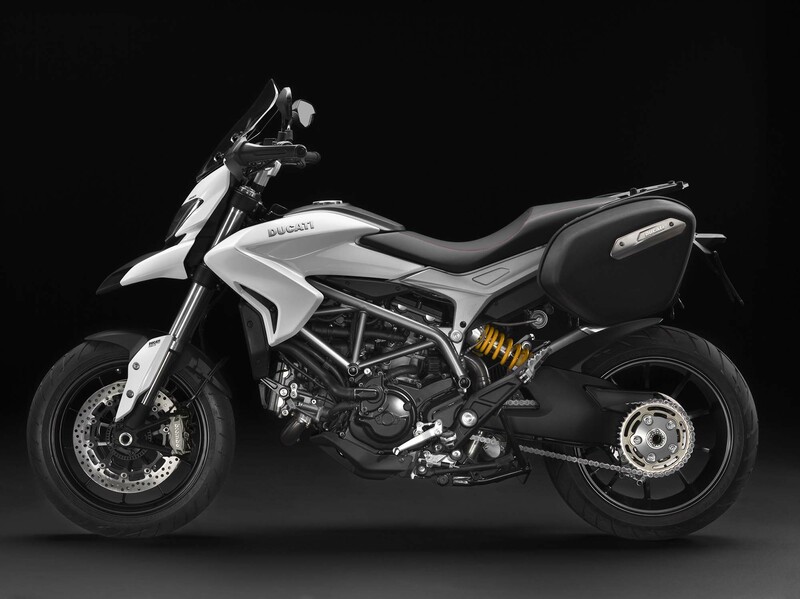 Other more subtle changes include 43mm Kayaba USD forks with 5.9″ of travel, which is .8″ less than the Hypermotard, though both machines use the same Sachs rear shock that has rebound and preload adjustments only. 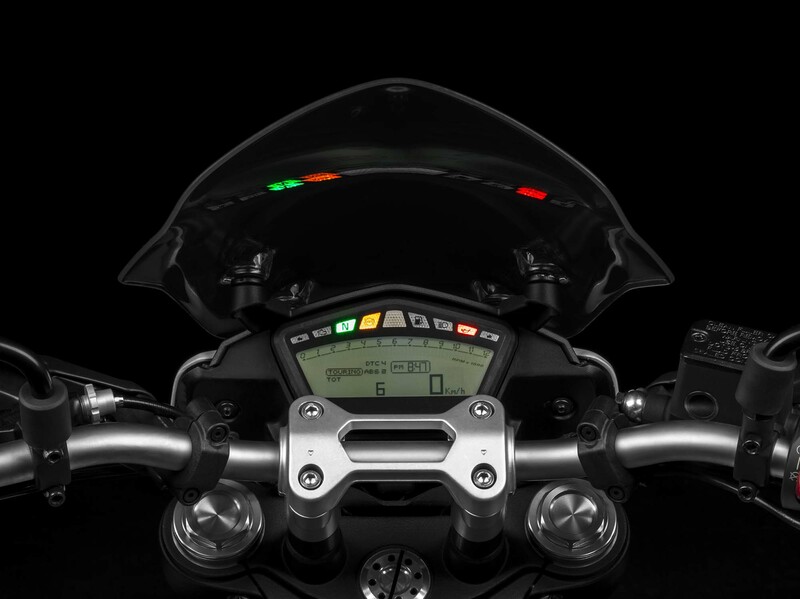 Add in two auxiliary 12v power outlets for charging sat navs and heated vests, and you have a 449.7 lbs motorcycle when at the curb. 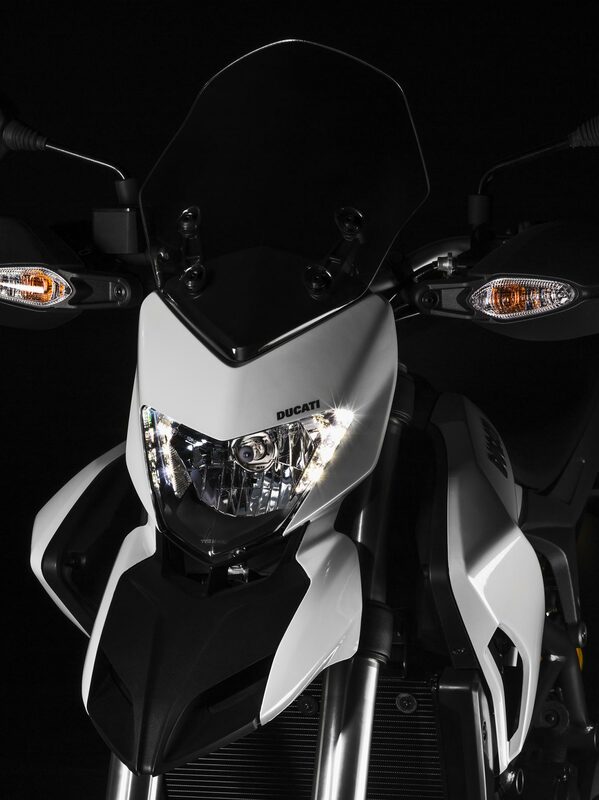 Available in either Ducati Red or Arctic White, the 2013 Ducati Hyperstrada will cost $13,295 in the US. 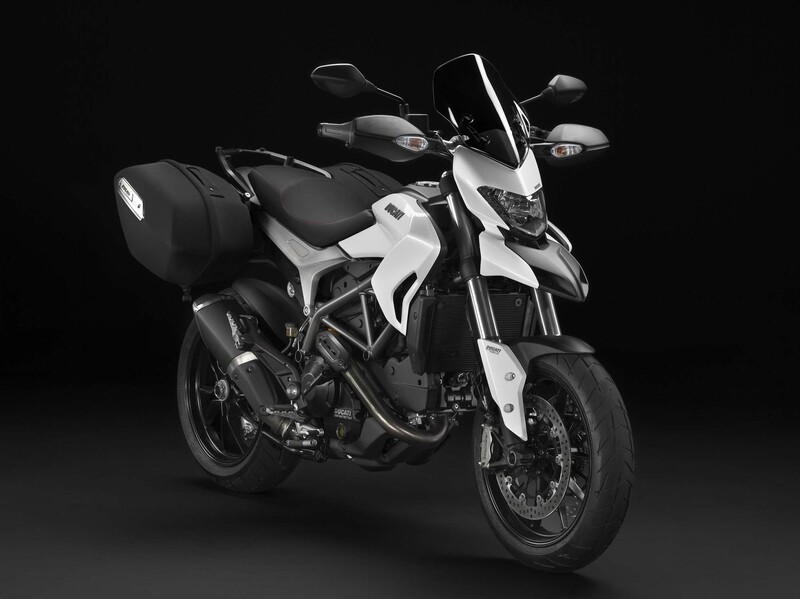 A compromise to having a midrange Hyper and midrange Multi, the Ducati Hyperstrada will attempt to straddle both sides of the Ducati camp with its offering. Did Bologna’s balancing act payoff? Leave us your thoughts in the comments section.